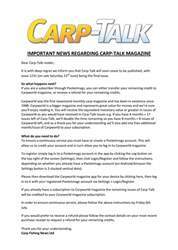 This week’s issue of Carp-Talk (issue 1012) is available to download now! 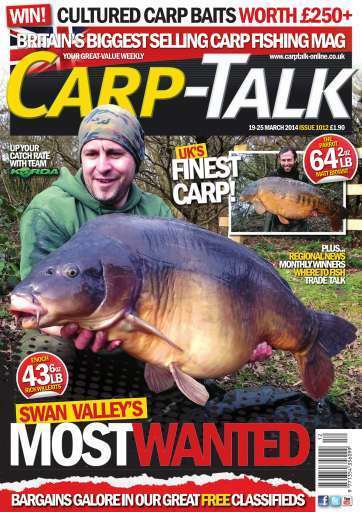 The Elphicks North Lake’s Big Girl tops the catches this week, having been reported at a staggering 66lb. We have also got Roach Pit’s Horse at 46lb, a 43lb 6oz mirror from the Swan Valley syndicate, and a 45¼lb Strawberry Fields forty amongst a wave of big fish. Lewis Errington talks about making the most of limited time on the bank, and Marvin Wait explains his take-anywhere fluorocarbon rig. Astbury Mere. 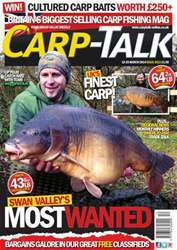 Thorney Weir, Four Ponds Fishery Specimen Carp Lake, Mallory Park Fishery and France’s Rainbow Lake go under the spotlight in ‘Where to Fish’. 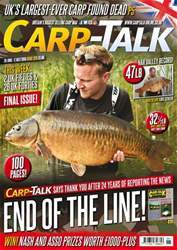 Luke Stevenson looks forward to spring, and products from Nash, Enterprise Tackle, Sonik and Wychwood all feature in ‘Trade Talk’. 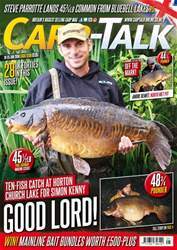 The 2014/15 Fox Mainline Carp Angler of the Year competition gets under way, and we have got £250 worth of Cultured Carp Baits products to give away.